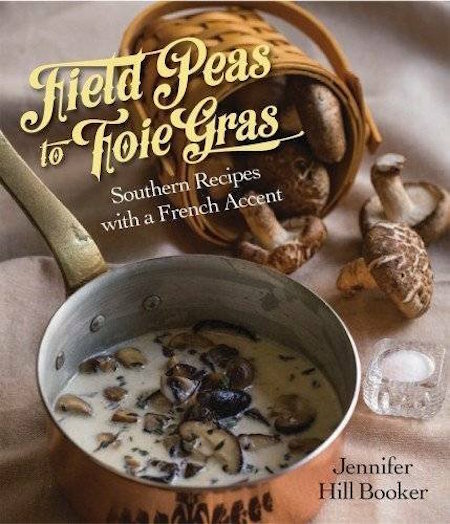 Here’s the thing, I usually don’t buy southern cookbooks, I figure there’s not much they can teach me that I haven’t learned from my mom and grandmother, but JENNIFER HILL BOOKER represents the next generation of great southern cooks and her cookbook FIELD PEAS TO FOIE GRAS is a fresh take on modern southern cooking that you’ll enjoy cooking from. 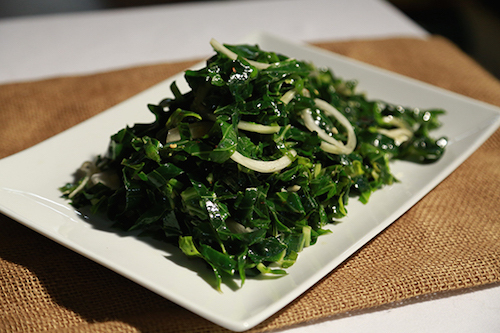 Try her Collard Greens Salad to start. De-stem and chop the collard greens into long strips. Place strips in a large bowl. Pour pecan oil on collard strips and sprinkle on salt. Massage the oil and salt into the strips with your hands until all pieces are well coated. Whisk together apple cider vinegar, onions, garlic, red pepper flakes and ground pepper. Pour apple cider vinegar dressing over the collard green strips. Let marinate in the refrigerator for at least 3-4 hours, but overnight is best. Serve chilled or room temperature.